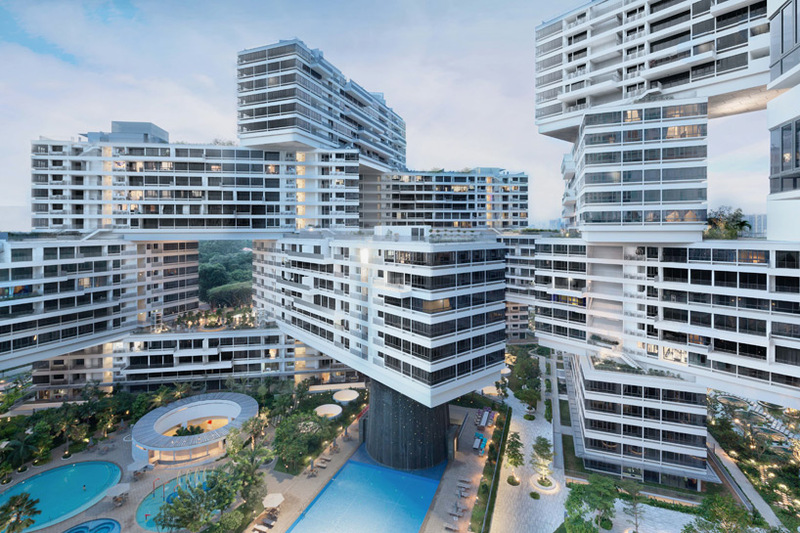 The abstract flow of verticality – this in a nutshell defines the aptly christened ‘The Interlace’, a fascinating apartment complex designed by Ole Scheeren in the island nation of Singapore. The entire residential compound is arranged in an interspersing manner with the organized display of solid volumes and voids. The layout however goes beyond the realm of gimmicky aesthetics, with the open spaces being used for urban landscaping, terraced gardens and confined swimming pools. 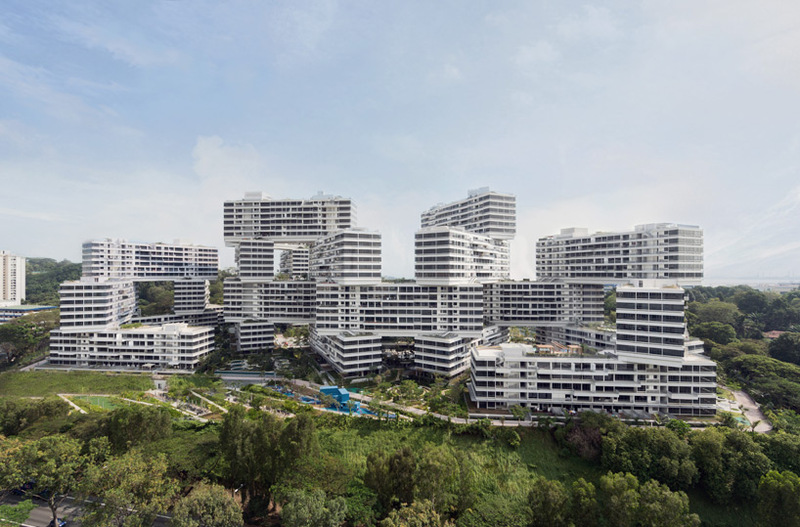 In terms of spatial capacity, the The Interlace boasts of 31 apartment blocks with uniform heights comprising of six floors. 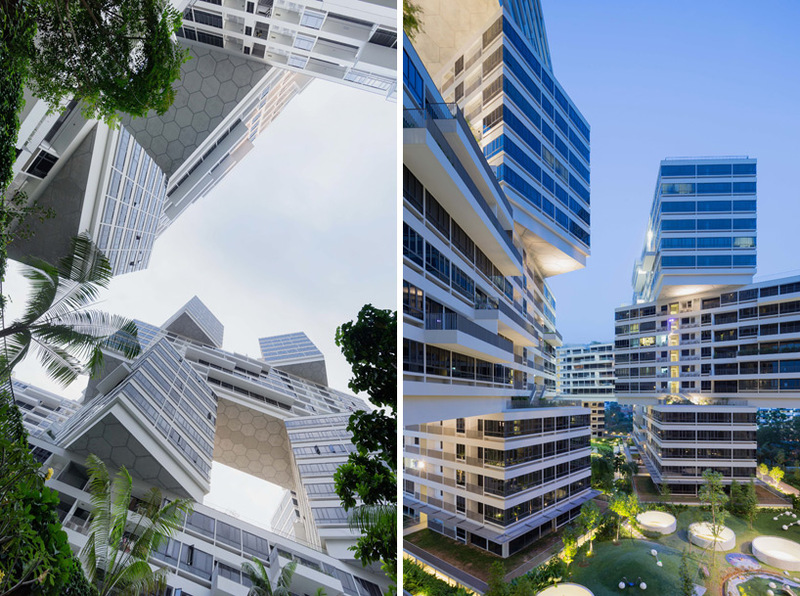 These towers are infused with apt circulation patterns that cater to both private and communal spaces. 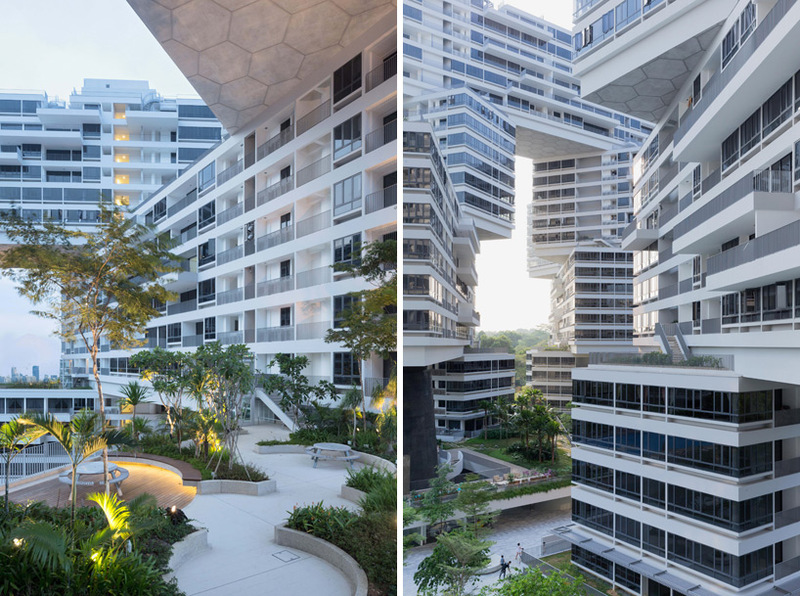 As for their outdoor arrangement, the cluster of solid cubes sort of tread the middle ground between vertical isolation and horizontal connection – a unique scope that brings forth the volumetric novelty of the residential project in a presumably dense urban environment. As we mentioned before, the voids created by the innovative layout are not there just for the visual effect. 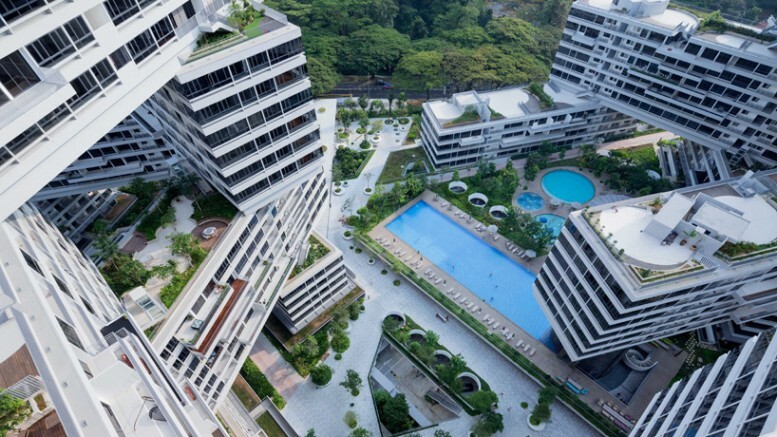 The open spaces are used as dedicated courtyards with greenery, terraced gardens and even serene water-bodies. These spatial ‘compartments’ allude to the inclusiveness of the neighborhood with righteous focus on the overall ambit of accessibility and user circulation. 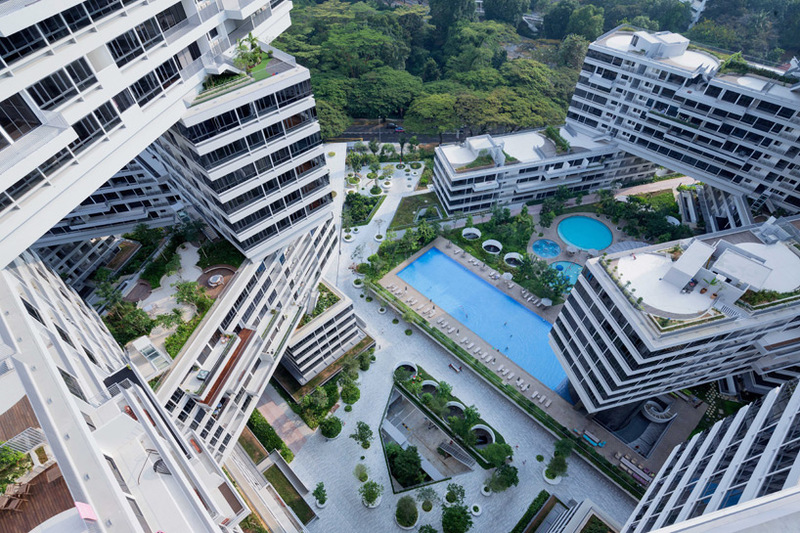 The Interlace opens a space of collective experience within the city and reunites the desire for individuality and privacy with a sense of togetherness and living in a community.